Its Friday, which means its time to unwind and relax for the weekend. 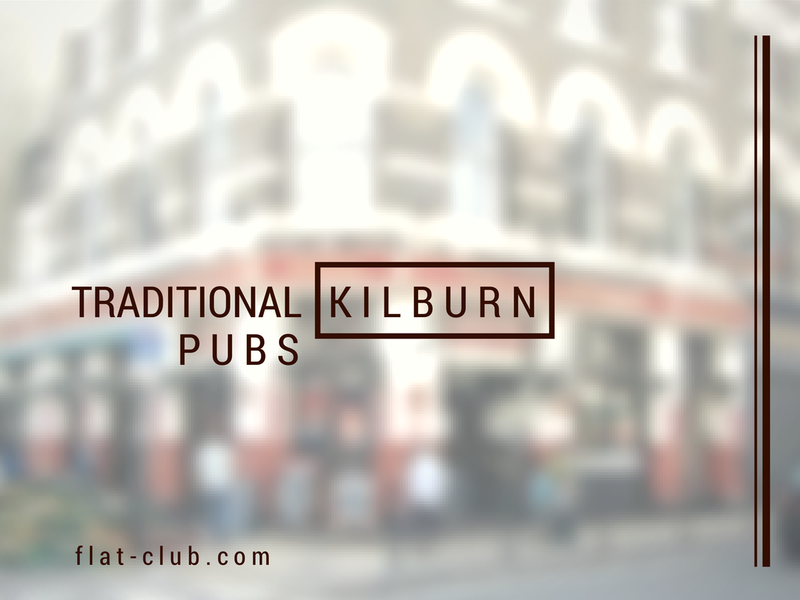 When you're looking for the perfect place to grab a pint after work, why not choose from our Kilburn pub list? We're updating our London Relocation Guide to be bigger and better than ever, and Kilburn is our focus this week! After your evening, you can plan this weekend with our guides on things to do and where to eat! Kilburn is overflowing with pubs, and Kilburn High Road might possibly feature more pubs than you could experience in a week. We have compiled a list of the best pubs on and off of Kilburn High Road for you to check out, with different atmospheres and varying amounts of historical importance. Alice House: Alice House has a more upscale, but still relaxed, pub dining feel. Relax with friends and a craft beer in the vintage chic setting right on Salisbury Road. Possibly the most unique feature of Alice House is the working library. The Black Lion: Soak up the history in this period building which was rebuilt after the Fire of London. The Black Lion is usually busy with locals and features traditional pub food as well as homemade burgers and great happy hour cocktail deals. The North London Tavern: A popular go-to pub for the locals, The North London Tavern has graced Kilburn High Road for years. Head on over for quality pub fare and a good pint. You might even catch some live music in the evenings. The Betsy Smith: A cozy, quirky-chic pub, The Betsy Smith has a unique charm. It is right on Kilburn High Road and offers hearty pub food that is both traditional and unexpected, as well as a quite impressive list of cocktails. The Earl Derby: If you’re looking for craft ales, mouth watering food, and a diverse crowd, The Earl Derby is a pub you need to check out. They have a pub food menu that changes regularly, Saturday brunch, Sunday roast, and live music on the weekends. Kilburn is still under the spotlight this week for our London Neighborhood Guide improvements! Once you've had your coffee and some great food, its time to find some entertainment. Looking for something to do this weekend? The area around Kilburn has a little bit of everything to offer, from theatre and cinema to galleries and farmers markets. There is also a little bit of nightlife to be seen that is different from the many pubs on Kilburn High Road. The Tricycle Theatre & Cinema: The Tricycle is known for innovation in its productions. The venue is comprised of a theatre, cinema, art gallery, cafe and a bar. If you’re looking for some entertainment, catch a film or other production right on the Kilburn High Road. Iyengar Yoga Institute: This purpose-built yoga centre is perfect to get your stretch on. With two studios featuring underfloor heating, you will definitely find relaxation during the gentle yoga classes on offer. Queen’s Park Farmers’ Market: Locals flock to this Sunday morning market taking place at Salusbury Road Primary School. Here you’ll find free range meat and poultry, fresh sausage sandwiches, Norfolk grown vegetables, and all the fresh fruit you could possibly want. Ben Uri Gallery: If you’re looking for a little culture in Kilburn, pop in to the Ben Uri Gallery. This impressive private gallery hosts over 800 works by Jewish artists. Mostly 19th and 20th century works are on display with exhibitions by contemporary Jewish artists available to view as well. Now that the bank holiday is behind us, Tuesday has become this week's Monday. That calls for an extra dose of caffeine! Luckily, we have scouted out some great coffee shop options for you as we improve our London Neighborhood Guides. Coffee is in high demand everywhere in London, and Kilburn is no exception. From house blends to well-known roasts, you might want to sample some coffee from every single cafe before you settle on a favorite. Gail’s: With a modern look, this upmarket bakery and cafe has a comprehensive array of breads, pastries, sweets, and cakes. The coffee is made with beans from Union Coffee Roasters, and definitely worth the slightly high price. Buono: Excellent coffee can be found at Buono, but that isn’t all. It is also an Italian restaurant, internet cafe, and wine bar. If you’re not careful you might accidentally stay all day in the cosy interior with so much to offer. CC’s: This coffee and dessert shop feels a bit unfinished in the decor department, but certainly makes up for that with its delicious organic coffee. CC’s might just become your favorite once you try a bakery item with your morning caffeine. Amoul’s: This independent middle eastern restaurant started out serving coffee, breakfast and brunch. The owner has a hand in all of the menu offerings and recently began serving dinner, but still serves an excellent cup of coffee to start the morning off right. Raoul’s Cafe: Weekend breakfasts are Raoul’s Cafe’s specialty. Londoner’s flock in the morning hours to this cafe with modern decor to grab their coffee fix and fill up on the hearty breakfast offerings. As a part of our London Relocation Guide improvements, we're digging deep into each neighborhood. 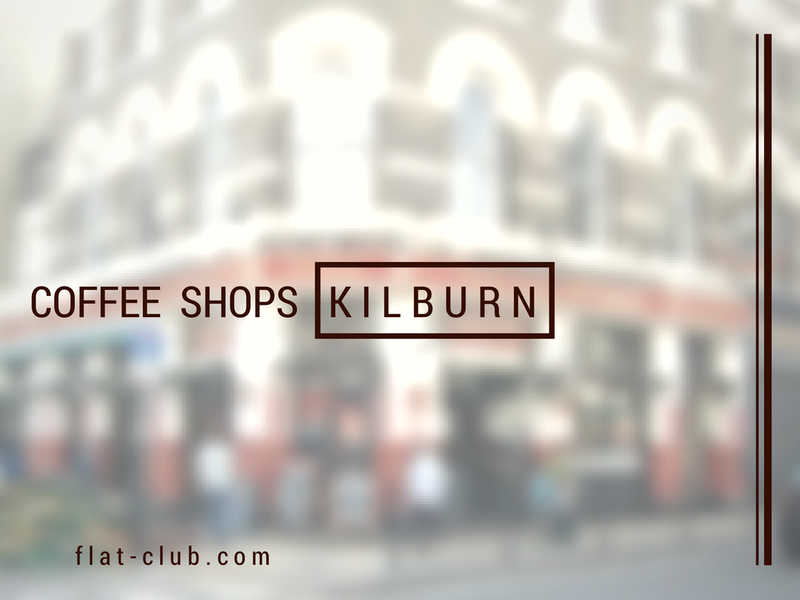 This week the focus is on Kilburn. And if you've got some free time on your hands thanks to the bank holiday, you might be looking for somewhere new to ear! You will never be short on good food around Kilburn. From traditional British fare, to Italian, to Thai, there are options aplenty. Its best to show up hungry, because you will want to try more than one item on these menus. Little Bay: Little Bay is slightly off the beaten path, making it somewhat of a hidden gem offering some great continental cuisine. With a unique interior that features elevated indoor balconies for a select number of booths, you won’t soon forget eating here. Spicy Basil: Right on Kilburn High Street, Spicy Basil is a small Thai restaurant with generous portions at great prices that all the locals flock to. They have a small dining area with recently opened downstairs seating. Small and Beautiful: If you’re looking for quirky and affordable, Small and Beautiful fits the bill. From a full English breakfast to a 3 course meal, there is surely something for everyone. The interior is cosy, featuring exposed brick and chandelier lamps. Casareccia: Head over to Casareccia for home-style Cucina cuisine, including some great special offers, in a cosy, friendly atmosphere. The menu is extensive, crafted by owners who are passionate about good eats. Hugo’s: Hugo’s began in 1994 as The Organic Cafe, and still brings all of their ingredients in from sustainable, fair trade sources. It is located in a cosy cobbled mews, perfect for dining al fresco or by candlelight indoors. Everyone likes a warm welcome when they’re traveling to a new city, and everyone loves mail! FlatClub is combining these two great things and adding a personal touch to your London check-in. 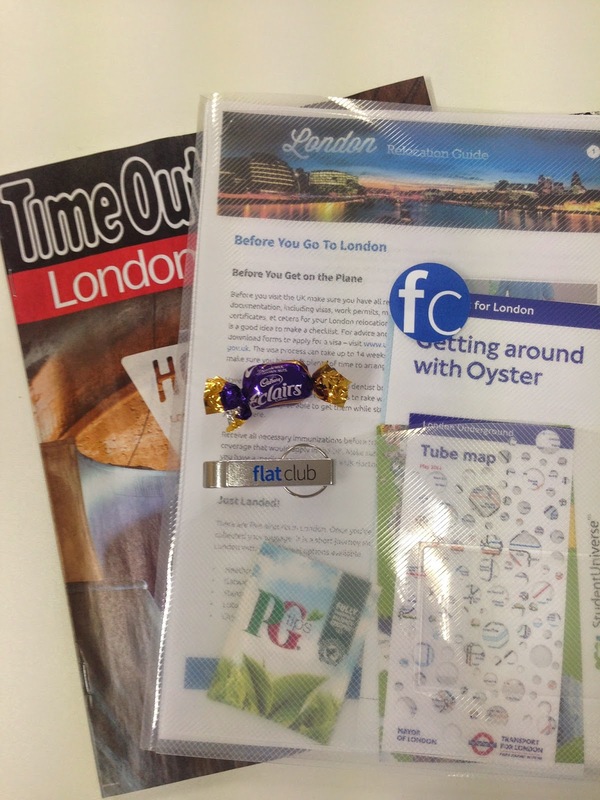 If you’re staying in London for over a week, you’ll now receive a FlatClub Welcome Pack to show our appreciation. The welcome pack is your introduction to London. We made sure to add a few British classics: a PG Tips tea bag and a Cadbury Eclair. So while you browse your copy of Time Out London, enjoy your cuppa and plan your first week! Other good things include a Tube map and Oyster card information to help you get around on public transport and a printed version of our London Relocation Guide to tell you all the best places to go. All of this cool stuff comes in a sturdy clear FC folder that you can reuse for other things - maybe your boarding passes on the way home? But we don’t want you to think about heading home just yet - when you check in to London you’ll have an entire folder full of fun things to try! We’re pleased to announce the integration of the Yelp API with our flat postings! Yelp on FlatClub means less questions & more fun. When you’re traveling it’s very nice to see suggestions that are near where you’re staying. Since you’ll likely need to stay in a specific place, you may not want to go out every night on the underground to the trendiest or most popular areas of the city. There is so much awesome stuff in London, but it’s not always easy to figure out where those things are in relation to where you’ll be. There are lots of hidden gems across the city, and seeing them can sometimes be a challenge. With the Yelp API you’ll have access to over 20,000 restaurants and nightlife spots in London with the additional bonus of being able to narrow your search to within walking distance. No more attempting to decide which top 20 pub to go to - Yelp will give you suggestions right on your doorstep. When it comes to being rewarded for seeing things differently, our office experienced that first hand with Yelp. We had some fun testing the API out for ourselves, and found a very well-loved coffee shop near our office. We hadn't noticed it before, as it’s not the sort of place you’d walk into off the street - as it’s off of a side street on another side street! Certainly out of the way, and very ‘locals only’. It’s a small little shop doing some of the nicest coffee nearby - and specialty Australian sweets! How else could you hear about it but through word of mouth & Yelp recommendations? It’s not the sort of place you’d stumble upon by exploring the city. Experiences like that are what we hope the Yelp API will bring to our guests - fun things that you never even thought to look for right outside your door. That’s not all the Yelp API can do, though. It’s also the backbone of our great transportation overlay - so you’ll know the nearest bus stops & underground stations to where you’re staying. In the future, we’d like to include something that can help our guests find cool venues & special events nearby, and we believe Yelp can help us accomplish this. 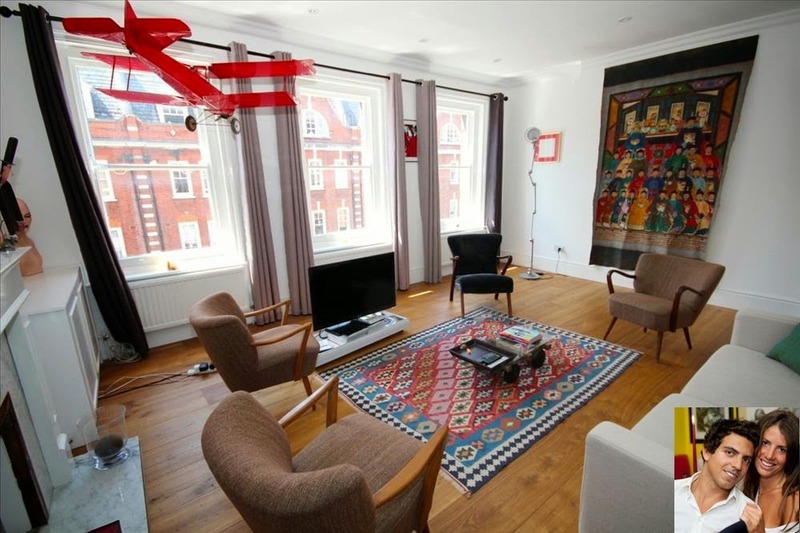 We’re also curious about being able to suggest certain flats to people based off of their reasons for traveling or their preferences for nearby things - for instance, if you want a flat in Bloomsbury and you love coffee, we could suggest a room near some of the top rated coffee shops of that neighborhood! What are some other cool things that you believe Yelp & FlatClub could bring to your London trip? Short answer is a lot. Nearly all of it is behind the scenes. 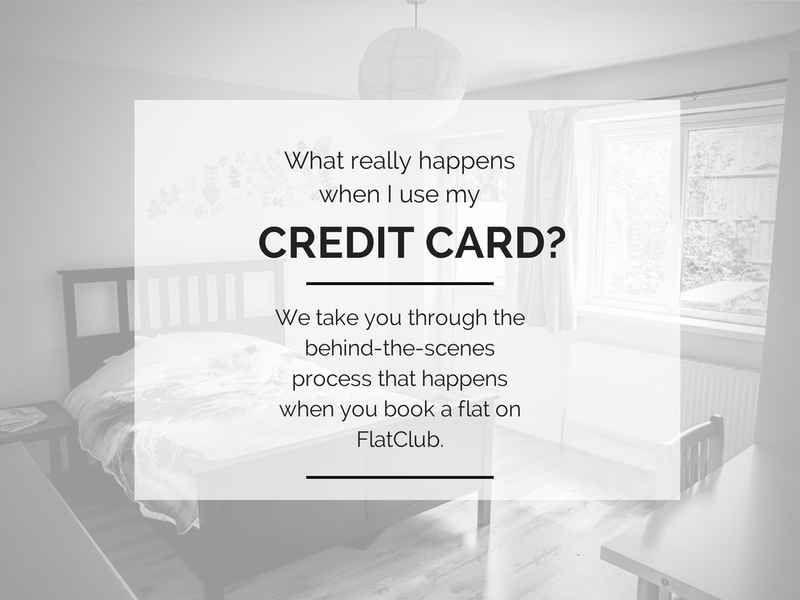 When you request to book a flat on FlatClub - it’s no different and we think the details are actually pretty interesting. Whether it’s a confirmed request, declined request, or cancellation, this post will help you understand exactly what happens and why. Let’s start with the lingo. Here are the most important payment system terms to understand. Gateway: the service that receives, records, and encrypts your card details to send them to the payment processor. The gateway connects FlatClub’s website to the payment processor. Payment Processor: the company that handles FlatClub’s bank transactions and communicates with FlatClub’s bank. It sorts and sends your card and purchase details to your credit card company. Pre-auth: Pre-authorization happens when you make a credit card transaction, but the bank holds, or sets aside, those specific funds instead of sending them to FlatClub until after your successful check-in. While the money is still in your bank account, you cannot use it until the pre-auth period is over. Credit Card Company: The company you got your credit card from, such as Visa or Mastercard. Encryption: When information is encoded so that only verified parties (your credit card company, your bank, etc.) can read it. Issuer: The bank that approved your credit card and gave it to you to use. It’s a complex process to make your booking successful. If all goes well, all you see is a return confirmation. However, from the moment you enter your card details, several companies must handle the information so that your bank can handle your money properly. This list outlines what happens during the process of a successful confirmed booking on FlatClub. You enter your card details into the booking payge and send your request. Your card details go from FlatClub to the gateway for encryption. The payment processor sorts and requests pre-authorization. Your credit card company runs fraud detection and sends the pre-auth request to the issuer (your bank) to be approved or rejected. Your bank accepts or rejects the pre-auth request and tells the credit card company. If accepted, your credit card company adds the transaction to your bill and sends the info about funds held by pre-auth to the payment processor. The payment processor confirms a successful pre-auth to FlatClub. FlatClub confirms your request as valid and greenlights the host to accept or reject. If the host accepts, your pre-authorized payment is transacted and you’re booked! It happens that booking requests are declined. When that happens, the successful pre-auth must unwind and the process takes a different turn at step 8. Your money is still in your account and the info must go back through the channels to release the pre-auth funds. 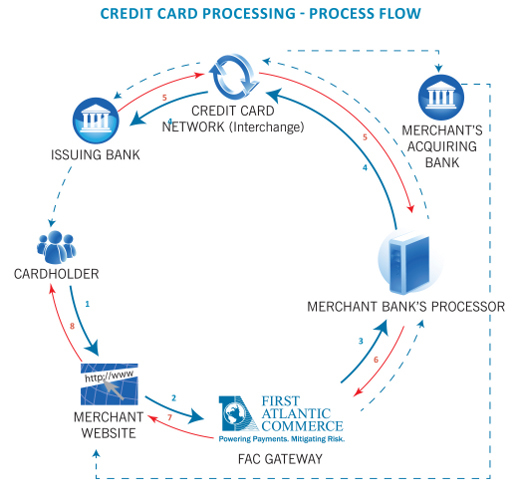 FlatClub communicates a decline through the gateway to the payment processor. The payment processor tells the credit card company to release your pre-auth’d funds. The credit card company notifies your bank that these funds should be available. Your bank must process this info, release your held funds, and notify the credit card company to complete the circle. Your credit card and bank statements are changed to show those funds are available. Things happen and plans change. What happens to your credit card when you have a confirmed booking but decide to cancel later? Here’s the process that happens from requesting your booking to after your cancellation. The same process has to happen in reverse. After a successful booking, the funds are held in FlatClub’s account (to be transferred to the host 72 hours after check in). Through the gateway, FlatClub then tells the payment processor to initiate a refund. The payment processor sends this information to your credit card company. The credit card company checks the refund request against your past account activity, and notifies your bank a refund should be accepted. Your bank must process this information, and greenlight the credit card company to accept the refund. The credit card company receives the processed refund from the merchant’s bank, and notifies your bank. Your credit card statement is changed to show those funds have returned. *The time it takes for these processes to happen usually depends on the time it takes your own bank to make a decision, perform the task, and alert the next party in the transaction. Visualizing this process can be difficult. First Atlantic Commerce has allowed us to use their diagram to illustrate all the steps. Pre-auth helps both the merchant and the customer. Fraud Detection for you - It gives the processor time to make sure you are the one trying to pay. Fraud Detection for us - It gives us time to make sure we charge a valid card. It guarantees to a host that your reservation request is ready to go. If the host declines your request, you don’t have to request a refund because the payment wasn’t processed. When the host confirms your booking request - you don’t have to re-enter payment info. If you change your mind after sending a request, (because for example your better half also booked a different flat on FlatClub) you don’t have to request a refund. Payment systems are wildly complicated, but essential to FlatClub’s process. This is also one of our most frequent customer service inquiries. Our goal was to pull back the veil on how and why the process takes time and looks the way it does on your bank statements. How did we do? Let us know if you now understand about the behind the scenes booking process on our system! Talk to us on Facebook, Twitter, or G+. Our London Relocation Guides continue - this time, we're covering cultural hotspots in our neighborhood guide for Bloomsbury. If you live in Bloomsbury, we'd be happy to hear from you about where you like to go for a bit of culture! If you want to soak up some uniquely London experiences, spend a few days in Bloomsbury. From historical buildings with brilliant architecture to museums you cannot find anywhere else, the neighborhood has a little something for everyone. There is even a museum the kids will appreciate! 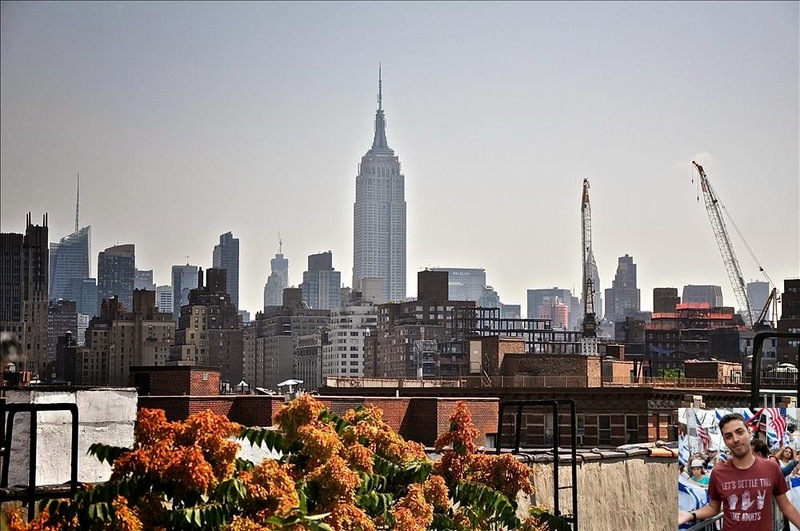 Here are our five favorite cultural attractions in the neighborhood. British Museum: On Great Russell Street, the British Museum is among the most comprehensive museums in existence dedicated to human history and culture, and it contains some 8 million works. Wellcome Collection: The Wellcome Collection calls itself “the free destination for the incurably curious,” and offers an eclectic variety of galleries and events, as well as meeting, reading, and eating places. St. George’s Church: The final London church to be designed by English Baroque architect Nicholas Hawksmoor, St. George’s is a working church, concert venue, and community arts centre. They occasionally offer guided tours. Pollock’s Toy Museum: Benjamin Pollock was a Victorian toy theatre creator, and toys from all over the world reside in the museum that takes his name. From an Egyptian clay mouse to doll houses, you’ll find just about every sort of toy. Toy theatrical performances run during school holidays. Do you have any other great Bloomsbury tips? Drop us a line on Twitter and let us know! We'll include them in the official guides on our site. Not thinking about a pint yet? Well, lucky for you Bloomsbury has even more to offer in terms of drinks - a certain caffeinated beverage rather than alcoholic, perhaps? These are the top 5 coffee shops in Bloomsbury! Coffee is meant to be enjoyed. Take a break from trekking around Bloomsbury, taking in the culture, and discovering all that the British Museum has to offer and enjoy some perfectly crafted coffee. You could even grab some coffee and pastries to get energized before your day at work or sightseeing. Here are five of the best coffee shops in Bloomsbury! Bloomsbury Coffee House: Serving up Allpress coffee, Teapigs teas, and homemade bakery items, this coffee house has it all. Their daily changing lunch menu acts as a great starter for all the sweet treats. The Espresso Room: This independent specialty coffee shop mainly sticks to serving up what they do best: caffeinated drinks. Previously the recipient of Time Out’s Best London Coffee award, you can’t go wrong with a brew from The Espresso Room. Bea’s of Bloomsbury: If you’re looking for high-end sweets or light savory lunch items along with your coffee or tea, Bea’s of Bloomsbury is the bakery for you. From tea specials and coffee to elaborate cakes, Bea’s has an impressive array of offerings. Cafe in the Gardens: Head to Russell Square for a quality little cafe, where they offer great coffee at a nice price. What better way is there to enjoy a nice day in one of Bloomsbury’s many green spaces? We hope you're enjoying our London Relocation Guide & the neighborhood guides for London. Please make any requests for content to our Twitter, @flatclubcom! Continuing on with our London Relocation Guide neighborhood improvements, this week we're bringing you the best of the best in Bloomsbury! What would a London neighborhood be without its pubs? We’ve put together a list of the best pubs in Bloomsbury, and there is something here for everyone. Whether you want to relax with a pint and a chat after work, have a hearty dinner after sightseeing, or cheer on your team in front of some plasma screens, you will find a new favorite below. Rugby Tavern: Frequented by everyone from local businessmen to tourists, Rugby Tavern is situated in a busy, well-connected area. A pub with something slightly different to offer, customers can play darts, or join in on poker, poetry, and quiz nights. 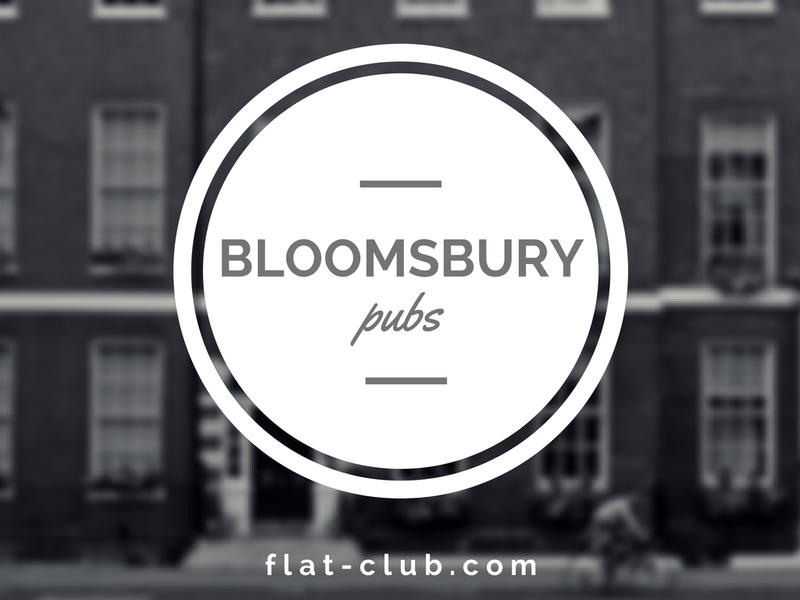 Bloomsbury Tavern: After taking in Bloomsbury’s cultural attractions all day, rest your feet at the Bloomsbury Tavern. If haunted pubs are your thing, swing by and try to catch the ghost that calls this pub its home. Museum Tavern: Much of the Museum Tavern survives from 1855. When the British Museum was built in the 1760’s, the name changed to match. Grab some great traditional pub food and spend some time in the same room where Sir Arthur Conan Doyle and Karl Marx once visited. College Arms: Right off of Tottenham Court Road, the College Arms is a cosy mix of a traditional British pub and wine bar. Head to the College Arms for something a little more than the traditional pub but with the same great atmosphere. The Duke: Situated on an out-of-the-way corner and populated with dark wooden benches, tables, and chairs, The Duke is a great no-frills pub. If you need a quiet chat or a peaceful pint, The Duke is your pub. Yorkshire Grey: Open for lunch and dinner during the week, the Yorkshire Grey has been standing in its current spot since 1676. Grab a friend and soak up the history with traditional fish and chips, a more modern gourmet burger, or a sharing board. The Perseverance: The Perseverance, an independently managed traditional pub, is proud of their friendly atmosphere. If the ground floor gets a bit busy, there is space for a quiet sit-down in a small room upstairs. The Marquis Cornwallis: A stately pub, The Marquis Cornwallis offers traditional cask ales, craft beers from all over the world, and fine wines from the glass. Their pub fare contains the British classics, as well as monthly seasonal specials. Friend at Hand: If you’re looking for the perfect spot to watch the big game, look no further than Friend at Hand. A friendly, traditional pub with three plasma screens, you won’t miss any of the game coverage as you cheer your team on. The Square Pig: Situated a few steps from Holborn station and on the edge of Bloomsbury, this pub is spacious yet cosy. Have a working lunch or drinks after work to the sounds of acoustic, soul, and Motown. The old adage less is more doesn’t really apply to flat photos: the more, the better! We encourage uploading as many photos as you can of your property - the inside, the outside, and any interesting points. However, there are 5 pictures you should upload that are the most important. Still haven’t taken your photos? You could either sign up for our free professional photography service or take a look at our articles about how to best take photos of your flat. We grabbed some great examples from our community - click on the titles or captions to see their flats! This makes a lot of sense. 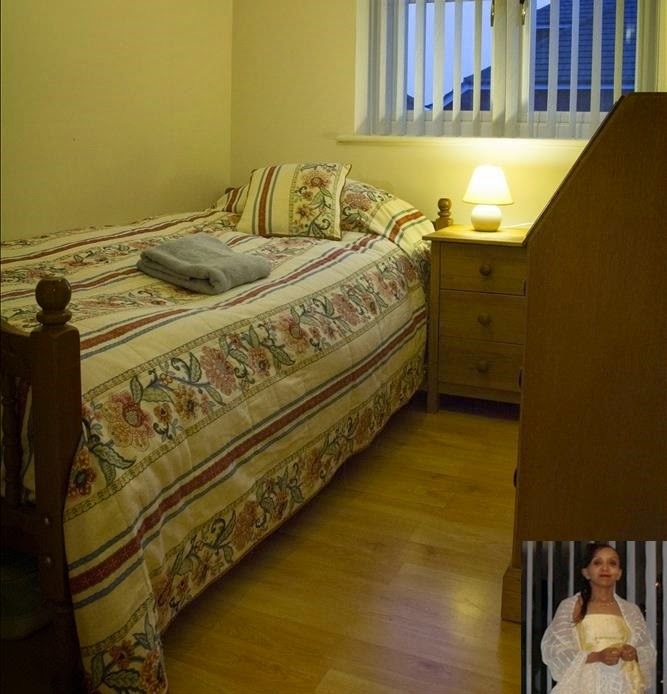 Guests want to see where they’ll actually be sleeping, so a few of photos taken here would be wise. Angle your camera up from the corner of the bedroom, so you can get as much of the bed and the surrounding area as possible. Try your best to get a sense of size for the bed - shooting from corner to corner is the best way to accomplish this. Especially if you’re listing for an entire flat, the living room or sitting space will be very important to your guests. A couple photos here will do, with the seating arrangement visible, and an open window in the background is quite lovely. An image that highlights something interesting in the living room such as a piece of art would also be a nice touch! Some think the kitchen is the very heart of a home, and if your guest thinks that then they’ll absolutely want to see a picture! 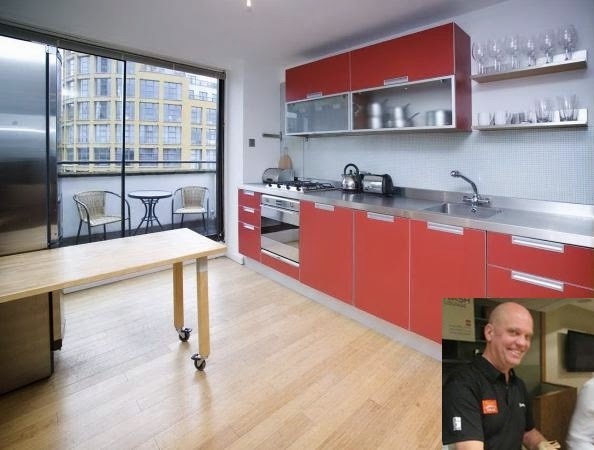 Even if they’ll only use the kitchen to eat in, it’s extremely comforting to a guest to know that a kitchen is tidy & clean. Again, the corner to corner trick is a great way to cover as much of your space as possible. If you have a separate dining area, make sure to include a photo of that as well. Now we don’t mean going out the door, facing your flat or home and snapping a picture, we mean the street outside. Guests will be curious about the area near your flat, so taking a picture of something interesting in your neighborhood or a general street shot is a great idea! If you have a garden or an amazing view, make sure to include a picture of that as well. A nice garden or a superb view is a big selling point for some guests so don’t neglect it. This one is important for reasons similar to the kitchen - it is a comfort for guests to see that a flat has a clean, tidy bathroom. One photo here should suffice, a general shot that includes the all the fixtures. 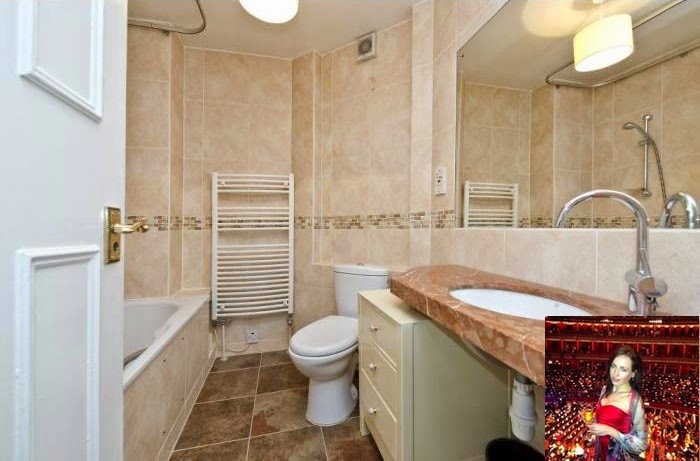 Our recommendation is to close the toilet lid while taking the photo. We hope that this helps you get a start on uploading photos to your posting on FlatClub. These are the top 5 most important rooms to photograph, but the more photos you take of these rooms, the better! Don’t forget to sign up for our free professional photography service or browse our blog for more tips. The fact that attractive flats get more booking requests is a no-brainer, and it is easy to spruce up your room for guests. A green leaf or two can make any space look more inviting. 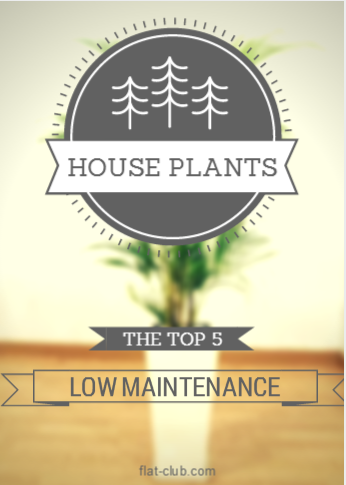 Since not everyone has a green thumb, we have compiled a list of the plants that require the least amount of attention to maintain. Find one or two you like and start potting! The Jade Plant is the definition of low-maintenance, as it flourishes when placed in a sunny spot and then left alone. Occasional pruning might be necessary to keep the plant from becoming top heavy. To water the plant, fully saturate the soil and then allow the soil to completely dry out before watering again. With minimal care, the rubber tree can grow up to be a large focal point in a room. It thrives off of indirect, bright light. During the summer the plant should be kept slightly moist. During the winter it only needs to be watered about twice a month. The snake plant, also known as “mother-in-law’s tongue,” thrives in a sunny location. Its leaves hold moisture, so it only needs to be watered every two to three weeks, and less in the winter or in a less sunny location. The areca palm is large and leafy, and requires little care. Once placed in a sunny location, the palm only needs to be watered once every ten to fifteen days. Make sure to water it slowly so that the plant doesn’t get flooded, but the soil becomes saturated. A ficus tree is needs as much full, direct sunlight as possible. To water the plant, saturate the soil and then leave the top two inches of soil to dry before watering again. Here's some great flats on our site that make excellent use of plants! 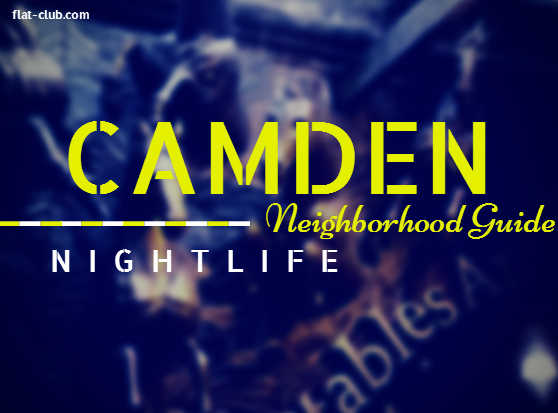 We're making our way through all of Camden's best features - just as we did with Old Street. We've already covered green spaces, restaurants, and coffee shops - but Camden is even more famous for something else. Known for its nightlife, Camden has an abundance of clubs and live music venues, with enough variety to satisfy almost everyone. From edgy and loud to jazz and soul, and from impressively spacious to small and intimate, the possibilities seem to be endless. So the next time having a relaxing pint at a traditional pub with your friends is just a bit too calm for you, turn up the volume with the best of what Camden has to offer after the sun goes down. KOKO: This impressive former theater was transformed into a multi-level live-music venue. KOKO sits close to the Mornington Crescent tube station and has early and late shows, depending on the day of the week. Barfly: A self-described “boutique live music venue,” this club in Camden brings in some brilliant acts. If you want to grab a drink and discover some talented bands, head on down to Barfly. Proud: Used as a gallery during the day, this 200 year old Grade II Listed Horse Hospital in the Stables Market in Camden is transformed to a music venue and club at 7:30 pm. Lock Tavern: This busy pub is cross-listed on our Camden Pubs list for its daytime atmosphere. However, the clientele at night are definitely there for the club vibe after the sun goes down. The Tavern brings in live music and DJs to keep the bass thumping. Joe’s: Joe’s is another music venue that has another identity as a pub during the day. Happy hour is from 5 to 7pm, and the DJs take over after 10pm. If you’re looking for drinks and a dance, Joe’s is where you want to go. Jazz Cafe: This former bank branch was converted into a jazz club in the 90’s, and is currently a venue for jazz, soul, funk, world, dance, and hip hop. If you’re in the mood for dinner with your live music, the Jazz Cafe also doubles as a restaurant during the day and early evening. Bar Vinyl: This venue features DJ sets and live music, but it isn’t just another music venue in Camden. With a record store downstairs and Tex Mex menu items, Bar Vinyl is edgy, loud, and unique - even for Camden. World’s End: World’s End is a pub that attracts people of all kinds, and situated right on top of The Underworld, which is a well-known club venue, offering live music from bands both undiscovered and signed. World’s End is perfect if you want a relaxing pint followed by a good club night. Fifty-Five Bar & Lounge: If you’re looking for a great happy hour, Fifty-Five Bar has it. Known for their great cocktails, Fifty-Five has 200 to choose from. Enjoy your pick on leather seats over two floors. Blues Kitchen Camden: The Blues Kitchen is a club and restaurant that takes the American diner and southern dive bar concepts and inserts a Camden feel. BBQ ribs and Po’ boys accompany live music, and every Sunday you can listen in on a blues jam. If you want to get through a few of these places in one night, head on over to the Camden Pub Crawl. The crawl includes different venues based on the night of the week.